It’s here!! It’s here!! 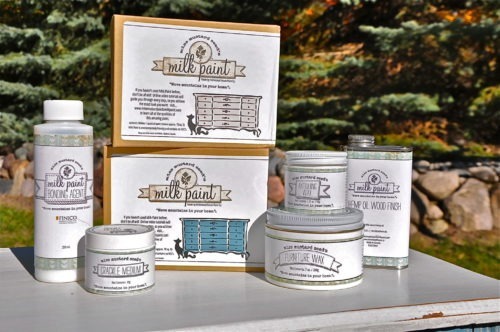 Our Miss Mustard Seed’s Milk Paint has arrived! I’ve always been a fan of milk paint. 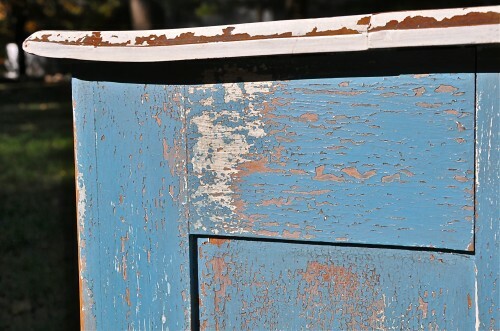 The fun chippy peely look that can be achieved when you use it without adding the binding agent is right up my alley and having Miss Mustard Seed’s Milk Paint here at Bungalow 47 is proving to be a fun new addition to our line of fabulous furniture finishes. The first thing I did when MMSMP arrived was found a wonderful piece to try it out on along with a little chalk and clay paint too. This gem with its warped top and fun little wooden knob was the perfect choice for the heavily distressed look I was after. 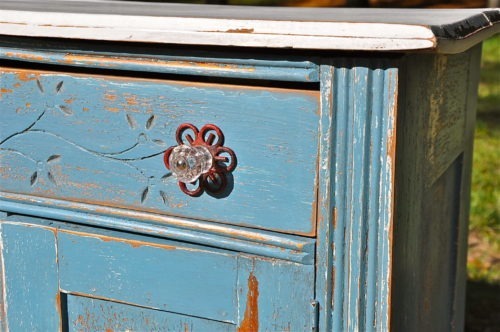 I quickly gave it coat of white chalk and clay paint so that when the Miss Mustard Seed’s Milk Paint chipped away it would not only reveal the wood but a hint of white too. Then I layered on a coat of MMS French Enamel and let it dry. The first coat stuck pretty well to the chalk and clay paint so I gave it a little scuffing with some sand paper to open up the milk paint then applied a second coat of the French Enamel. To help my chippy look along (remember I was going for an extreme chippy look) I hit it with a hair dryer to lift the paint and then simply flaked it away. Here you can see the extreme look I was going for. 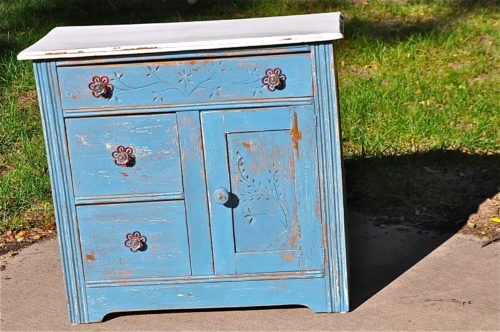 I painted the top with just a couple of coats of Miss Mustard Seed’s Ironstone. I also mixed it without adding the binding agent. You can see how the edges peeled and flaked away. I like the contrast with the bottom of the cabinet. I finished the milk paint on the cabinet with Miss Mustard Seed’s Furniture Wax and was done in an afternoon. Next we’ll have to try some of the MMS Crackle Medium and see what happens. sooooo pretty! i love the white peeking through, too- great idea! Thanks so much! Didn’t know if the paints would work together but they both performed great! Thanks – it’s one of my favorites so far. Thank you! It was a fun paint to work with. So cute! I really want to try this paint now! What an amazing piece. I love how it turned out. it looks like MMSMP really works magic. I love it! It was a good idea to undercoat it with the white too! 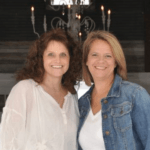 Love what you did! Where did you find your hardware?